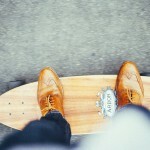 Looking for the best longboard trucks? Out of all the parts that go into a longboard, the trucks are probably one of the most important ones, as they are incredibly enduring and will last longer than any other longboard segment. That is why both newbie and professional skaters can rest assured that investing in the best longboard trucks will be rewarding and will spare the need for frantically choosing new ones in a month or two. However, before browsing through the thousands of options out there, it might be best to learn a thing or two about this essential part of longboarding. Longboard trucks are the metal, T-shaped mechanisms that attach the wheels to the deck. They consist of a base plate, which is mounted to the board itself, and hangers which allow wheels to be attached. The trucks are important chiefly for two reasons – they determine the stability of the board and how well it turns. Generally speaking, wider trucks make for wider turning circles and lower trucks (closer to the ground) are more stable. 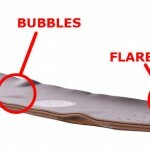 The angle of the baseplate is also something to be considered, as smaller degrees make for stable longboards that don’t have very good turning capabilities, as opposed to higher degrees. When it comes to longboarding trucks, there are two main kinds – regular skateboard trucks and reverse-kingpin. The difference is in the position of the axle and the kingpin (the bolt that holds the trucks together). Many longboarders tend to prefer reverse-kingpin trucks, as they have better turning capabilities. However, standard trucks are lower to the ground, which makes them more stable. There is no one definite answer to what the best longboard trucks are – it’s all about the rider’s personal preferences. Still, every longboard style has its star trucks. When it comes to cruising and carving, the best trucks are reverse-kingpin, as they allow for more flexibility and better turns, so that skaters can navigate the obstacles of urban terrain with ease. These trucks are not very wide – either 150 or 180mm, depending on the width of the deck. Those skaters who choose freeriding and freestyling as their favorite variations of the extreme sport should choose their trucks carefully. Freeriding includes a lot of tricks, as well as high speeds and so the trucks need to turn swiftly and yet provide stability. Even though reverse-kingpin trucks are higher, their maneuverability certainly gives them an advantage in the field of freeriding. For the speed lovers who are keen on downhill riding, trucks that provide stability are very important. That is why many skaters choose regular skateboard trucks, as opposed to reverse-kingpin since they are lower to the ground and cause fewer speed wobbles. Even though the market is quite literally flooded with all kinds of longboard trucks, there are a few companies that are most popular and best-liked by skaters. Paris trucks, for instance, is a company that provides high quality and great durability, which makes their trucks widely used. These trucks have the advantage of secondary heat process for extra strength and are absolutely amazing at vibration dampening. Other popular choices are Bear Grizzly trucks, which provide control and stability no matter what the discipline or the terrain. The Independent Truck Company, on the other hand, features lightweight trucks with superior turn and grind clearance. 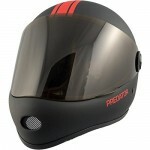 Caliber is another famous brand that offers an incredible variety of extremely high-quality products. Their trucks are very responsive, so both new riders and professionals will be able to find their dream trucks. Meanwhile, if you are searching for the best longboard trucks for cruising and carving, you can go for the Gullwing Sidewinder. A complete longboard is a fully-assembled longboard skateboard that’s ready to ride the moment it is taken out of the box. It already has longboard trucks and wheels, bearings, and grip tape. But if you want to tweak your longboard for the best riding experience, you can do so. One of the components of a longboard is the trucks. The best longboard trucks are the ones that fit your riding style. Trucks are sold in pairs; one truck for the front and one for the back of the board. The baseplate connects the truck to the longboard deck. It’s used to mount the truck to the deck by using screws and 4 or 6 mounting holes. The kingpin of a longboard truck is a big pin that holds the various parts of the truck together. The kingpin is replaceable for only a fraction of the cost when compared to replacing an entire longboard truck. Longboard trucks differ in the location of the kingpin. Standard Kingpin – In standard kingpin trucks, the kingpin is facing the center of the board. Standard kingpin trucks are used when doing skateboarding tricks as the kingpin bolt doesn’t interfere with grinds on rails. Reverse Kingpin – Reverse kingpin trucks are commonly used for longboards since they’re responsive at low speeds and offer more stability at high speeds. The kingpin faces toward the front of the board. Reverse kingpin trucks are the best longboard trucks for cruising, carving, and downhill racing. The bushings are urethane rings fitted around the kingpin, allowing the board to turn smoothly. 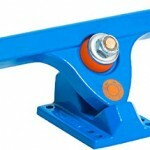 Usually, each longboard truck has 2 bushings that provide a cushion between the moving parts of the truck. The harder the bushing, the harder riders must lean in to turn. On the other hand, soft bushings make the trucks more responsive. The hanger is the T-shaped beam that attaches the longboard wheels to the body of the truck. 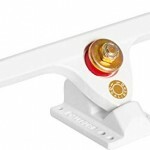 During tricks like rail grinds, the hanger is the part of the truck that will make contact. Risers are an optional accessory. They are used to adjust the height of the board off the ground. Risers are easy to install and are inexpensive. Wipe the deck dry. Apply grip tape evenly by lining it up with the tail/nose of the deck. Peel back the non-sticky paper at the bottom of the grip tape. Apply the sticky side on one end of the board. Press the grip tape across the board, smoothing it out as it sticks to the deck. Smooth out any bubbles. Take a file to outline the edge of the board from excess grip tape. Take a knife and slit the excess grip tape off the edge of the board. Be careful while doing this to avoid injury. (You can skip this step if your deck came pre-gripped). To create holes in your grip tape, poke a screw thru the truck mounting holes at the bottom of the deck. Line up the trucks with the mounting holes. Many longboard trucks are the reverse kingpin, which means the top bushing faces towards the nose and tail of the board. But if you have traditional kingpin trucks, the bushings will face inwards toward each other. Place the screws thru the board and truck mount. Twist the nuts around the bottom of the screw, so the screws don’t fall out the bottom of the trucks. Then, hold the nut steady with the skate tool. Twist the screw with an Allen wrench or screwdriver until the nut is tightly pressed against the bottom of the deck. Place one bearing into the core of a wheel. If you can’t push the bearing all the way snug, slide bearing and wheel on to the truck axle. Apply gentle force against the hanger. Then, slide the wheel on to the truck axle, bearing first. Put a bearing spacer on the axle and push the 2nd bearing into place. Place the bearing washer between your truck axle nut and outward-facing bearing. Lock the truck nut tight with the skate tool. Repeat these step for the other wheels. Once the four wheels are screwed on tight, you are ready to ride. Use the skate tool to loosen or tighten the bushings to suit the way you turn, slash, and slide. The tightness/looseness of the trucks will influence the ease of making turns and performing tricks using your longboard. To loosen longboard trucks, you’ll need a wrench and a screwdriver. Step 1 – Flip the longboard upside down and lay it on the floor or a sturdy table. The wheels should be facing upwards. Step 2 – Locate the longboard trucks. Get the wrench and adjust its size, so it fits onto the truck bolts. Get the screwdriver and place it on top of the bolt ton order to hold the screw in place. Start turning the wrench clockwise until you’ve reached the desired level of looseness. Step 3 – Repeat this process with the other trucks. Once you’re done, remove the wrench and screwdriver. Step 4 – Flip the longboard with the wheels facing downwards. Take the longboard for a test ride. If you’re satisfied with the stability and ease of turning, good for you. But if you feel that the trucks need more loosening, you can repeat all of these steps until you’ve attained the right level of looseness. If you’ve loosened it more than necessary, all you have to do is turn the bolts clockwise. As trucks are one of the most important and long-lasting components required for an amazing experience, putting in the effort to find the best longboard trucks is certainly time well spent.